I’m not much of a breakfast person, generally because I am occupied making different things for different people and also packing lunches and permissions slips and no I don’t know where your other sock is just wear mismatched ones and all I can really manage before 9 AM is coffee. By the time the kids and husband are packed off for the day, I generally just reach for whatever is quick and easy–a few slices of turkey tucked into a slice of bread, leftover soup/stew/whatever, or maybe some avocado toast if I’m feeling sassy. Weekend breakfasts? Breakfast carbs. My husband um, doesn’t eat eggs (why??? ), so I default to a pancake/muffin/waffle situation because who doesn’t like those things? Ok actually I don’t but no one asked me what I wanted for breakfast because I was the one shouting, “Hey what do you guys want for breakfast?” And more often than not, the answer to that question is waffles. Here is a fun story about waffle irons. When we got married, I jumped at the opportunity to register for a waffle iron because I was tired of having to get dressed to out to breakfast to get waffles. (I prefer a Sunday morning in my robe, please and thank you.) When I asked him, the waffle connoisseur, if he wanted a regular or Belgium waffle iron, his very articulate response was, “I don’t know? Regular?” And so then I registered for one and we got it and it worked great and yayyy so many more waffles. Except this regular waffle iron only makes one waffle at a time. Do you know how annoying it is to make one waffle at a time? (It’s really annoying.) So for Christmas, I asked for a four-slice waffle maker, and now I stand there making waffles for less than half the time it took me before. If you’re wondering what motherhood is, it’s asking for a four-slice waffle maker for Christmas, when you don’t even like waffles. Now that we’ve got the hardware out of the way, let’s talk about the software. Please do not put pancake batter in your waffle iron. Like, for real please don’t do that. Pancakes are pillowy soft cakes, gently labeled out and coddled in a pan. 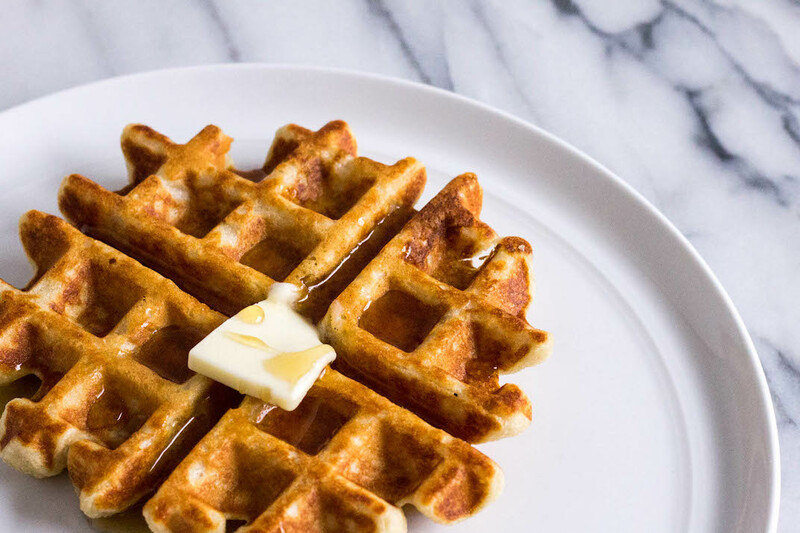 Waffles may share the same tender middles, but sport crisp-edges thanks to more fat in the batter, and then being encased in a hot grid of metal to cook. The recipe I use practically every time I make waffles is based off of a recipe from a restaurant in Tennessee that I’ve never been to, but hey, that’s the internet for you. I could not resist a waffle titled “Aretha Frankenstein’s Waffles of Insane Greatness,” and neither should you. And the whole wheat pastry flour? You certainly can use regular whole wheat flour, or even white whole wheat flour. 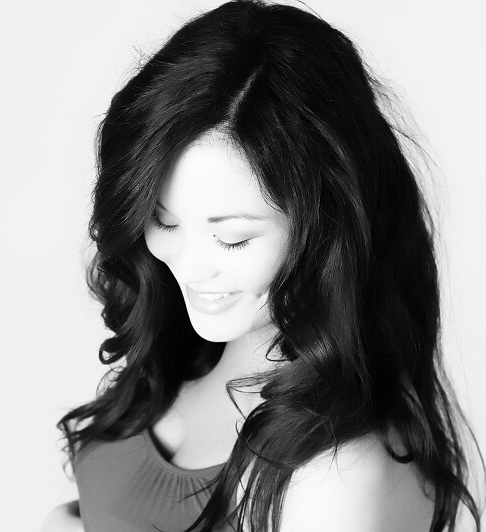 Your results will be a touch heartier and more toothsome, but it will work. But if you’ve ever dismayed in the often stodgy results baking with whole wheat flour can result in, I highly suggest you pick up a bag of whole wheat pastry flour. Check the natural foods aisle or even the bulk bins. Now let’s talk about the matter of the short 20 minute rest required before cooking. While it seems like an inconvenience, it allows the flour to absorb the liquid and gives your waffle an overall better texture. It also allows me to drink my coffee and eat my own breakfast, because um, I am probably not going to eat any of these waffles. But you? 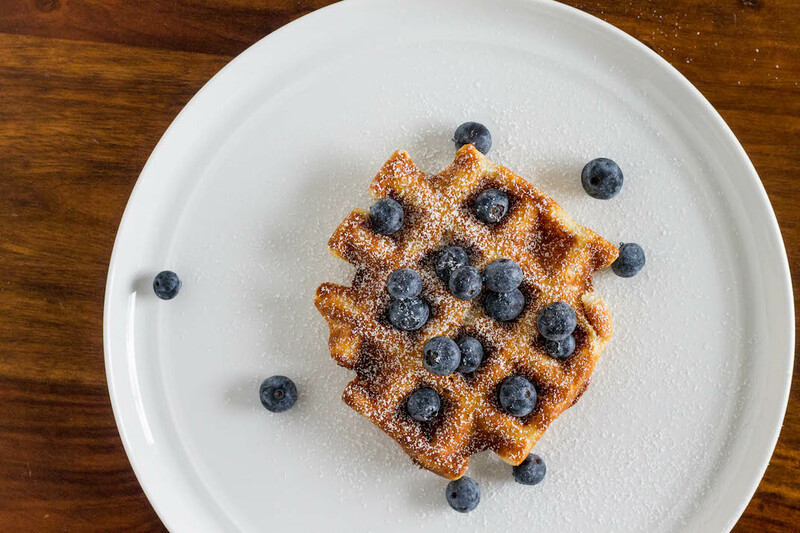 Get down with your waffle self. Slather with butter and maple syrup (the real stuff, please), or clouds of whipped cream or almond butter or your favorite jelly/jam/marmalade or throw caution to the wind and go for it all. Or, my kids’ preference–with fresh berries and a dusting of powdered sugar. They don’t even ask for the syrup. No oat flour? 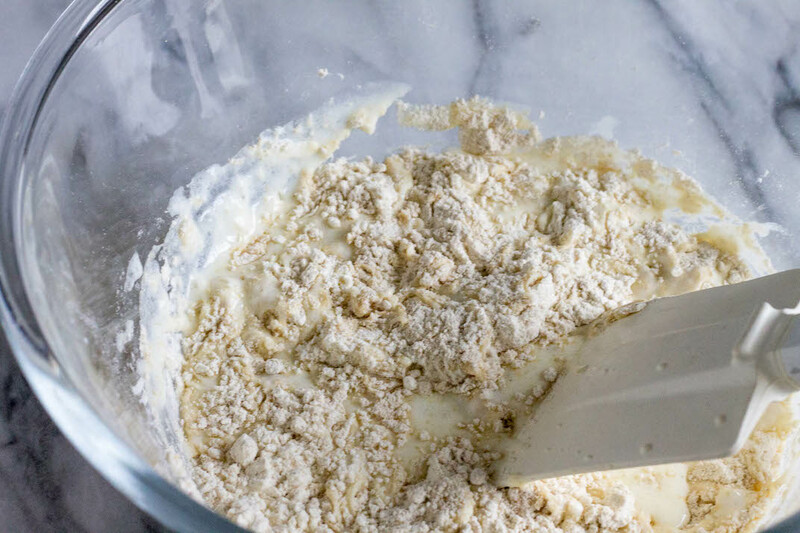 You can blitz whole oats in your food processor until you reach a flour consistency. Not into pulling out another appliance first thing in the morning? You can just use 1/4 cups of cornstarch instead. 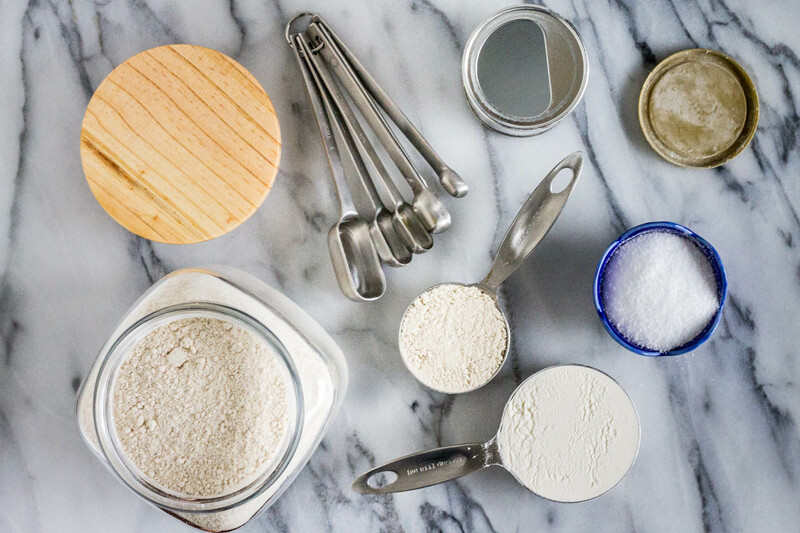 In a large bowl, stir together your flours, baking powder and soda, and salt. Set aside. Add the liquid ingredients to the dry ingredients, and fold together gently with a spatula (a few lumps are ok). 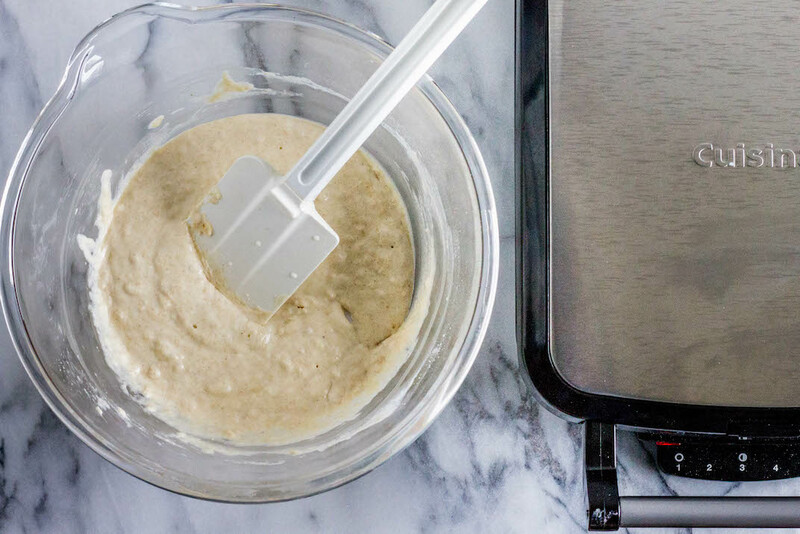 The batter will look thin at this point--don't panic! Set the bowl aside to rest. 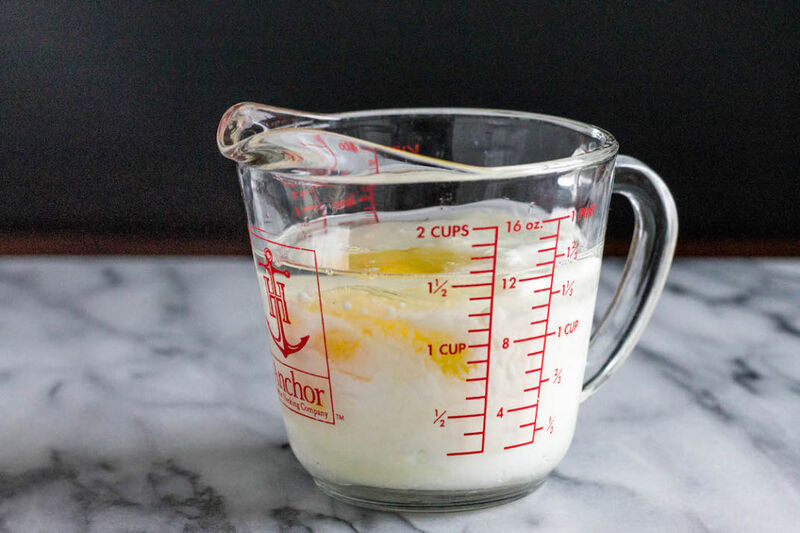 Spend the next ten minutes or so cleaning up any measuring cups and spoons, or just sit with your cup of coffee/tea/whatever. At this point, you can preheat your waffle iron. 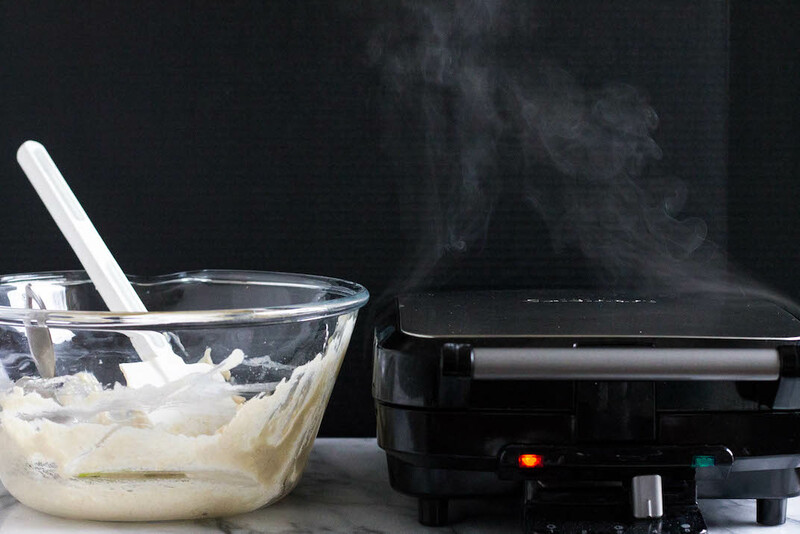 Lightly grease your waffle iron. (Nonstick spray works great for this. Otherwise, painting oil on with a pastry brush/paper towel works just fine.) Add the batter to the waffle iron. (For both my Belgium and regular waffle maker, this is 1/3 cup of batter for each waffle.) Cook to desired doneness--this is about 5 minutes for my particular waffle iron and preferred level of browning. 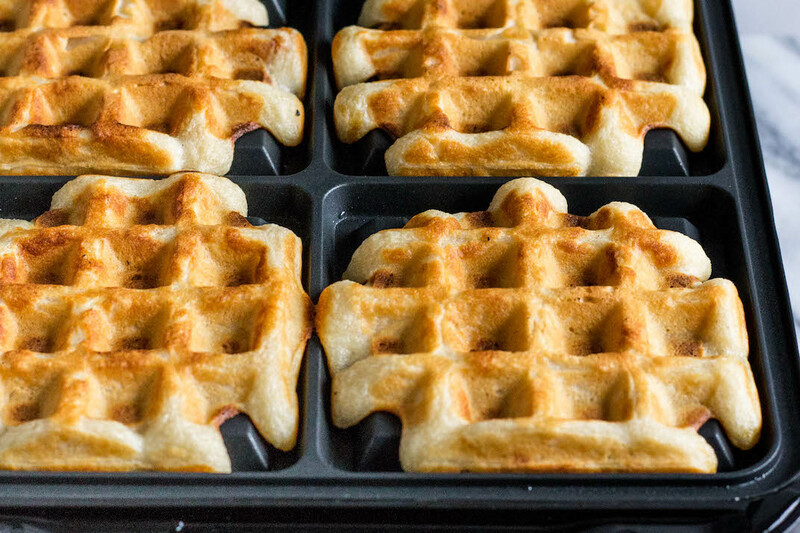 Remove from the waffle iron to a cooling rack (chopsticks work great for this!). Eat immediately, or freeze and pack away** for a busy Thursday morning before school. *Is your coconut oil solid? Measure out the you would guess is 1/3 cup into your liquid measuring cup, then microwave for about 45 seconds, or until just melted. Check your measurements--you can now either pour back any excess oil, or stir in a little more until you reach the correct measurement. **To freeze: Cool the waffles completely on a wire rack. Still on the rack, freeze the waffles until solid. Place them in a large zip-top bag, and return to the freezer. When you're ready to eat, defrost in the toaster or in a low oven. Thank you for another informative site. The place else may just I am getting that type of information written in such a perfect approach?